Dr. Higgins serves as the fourth chief in the history of the Curtis National Hand Center. He completed his undergraduate studies at Williams College and received his medical degree from the University of Rochester School of Medicine and Dentistry. He completed his residency in plastic and reconstructive surgery at the University of Rochester and a hand surgery fellowship at the Curtis National Hand Center at Union Memorial Hospital. Dr. Higgins is a member of the academic faculty at Johns Hopkins University, Georgetown University and University of Pennsylvania. He sub-specializes in upper extremity microvascular surgery. His clinical and research interests include vascularized bone reconstruction of extremity nonunions, functioning muscle reconstruction of the upper limb, toe transfer digital reconstruction, complex reconstruction of upper extremity trauma and vaso-occlusive disease of the hand. He directs the microsurgical didactic lecture and anatomy program and the Hand Center’s biannual flap course. 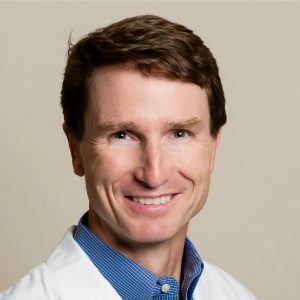 Dr. Higgins serves on multiple national administrative committees for the American Society for Surgery of the Hand (ASSH), American Society for Reconstructive Microsurgery (ASRM), American Society of Plastic Surgeons (ASPS) and the American Board of Plastic Surgery. He completed a year of travel and academic exchange as the 2010 Godina Fellowship recipient for the ASRM. He was also a 2010 Visiting Professor for the ASSH. Dr. Higgins has served as visiting professor and guest faculty at numerous national and international congresses and universities. He is also the recipient of numerous fellowship and resident teaching awards. In 2011, Dr. Higgins spearheaded the inaugural international hand mission with Operation Smile. In October, 2013 Dr. Higgins was named as the 2013 Sterling Bunnell Traveling Fellow at the Annual American Society for Surgery of the Hand Meeting.